Light microscopy has been used for well over 100 years for the determination of mineral species. This analysis is carried out using specialized polarizing microscopes as well as bright field microscopes. The identification of minerals is an on-going process with many new minerals described each year. 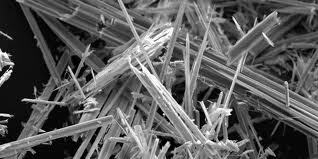 The first recorded use of asbestos was in Finland about 2500 B.C. where the material was used in the mud wattle for the wooden huts the people lived in as well as strengthening for pottery. Adverse health aspects of the mineral were noted nearly 2000 years ago when Pliny the Younger wrote about the poor health of slaves in the asbestos mines. Although known to be injurious for centuries, the first modern references to its toxicity were by the British Labor Inspectorate when it banned asbestos dust from the workplace in 1898. Asbestosis cases were described in the literature after the turn of the century. 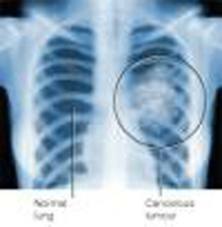 Cancer was first suspected in the mid 1930's and a causal link to mesothelioma was made in 1965. Because of the public concern for worker and public safety with the use of this material, several different types of analysis were applied to the determination of asbestos content. Light microscopy requires a great deal of experience and craft. Attempts were made to apply less subjective methods to the analysis. 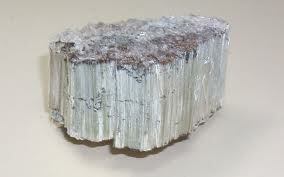 X-ray diffraction was partially successful in determining the mineral types but was unable to separate out the fibrous portions from the non-fibrous portions. Also, the minimum detection limit for asbestos analysis by X-ray diffraction (XRD) is about 1%. Differential Thermal Analysis (DTA) was no more successful. These provide useful corroborating information when the presence of asbestos has been shown by microscopy; however, neither can determine the difference between fibrous and non-fibrous minerals when both habits are present. The same is true of Infrared Absorption (IR). When electron microscopy was applied to asbestos analysis, hundreds of fibers were discovered present too small to be visible in any light microscope. There are two different types of electron microscope used for asbestos analysis: Scanning Electron Microscope (SEM) and Transmission Electron Microscope (TEM). Scanning Electron Microscopy is useful in identifying minerals. The SEM can provide two of the three pieces of information required to identify fibers by electron microscopy: morphology and chemistry. The third is structure as determined by Selected Area Electron Diffraction -- SAED which is performed in the TEM. Although the resolution of the SEM is sufficient for very fine fibers to be seen, accuracy of chemical analysis that can be performed on the fibers varies with fiber diameter in fibers of less than 0.2 um diameter. The TEM is a powerful tool to identify fibers too small to be resolved by light microscopy and should be used in conjunction with this method when necessary. The TEM can provide all three pieces of information required for fiber identification. Most fibers thicker than 1 um can adequately be defined in the light microscope. The light microscope remains as the best instrument for the determination of mineral type. 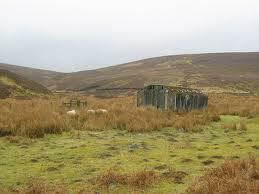 This is because the minerals under investigation were first described analytically with the light microscope. It is inexpensive and gives positive identification for most samples analyzed. Further, when optical techniques are inadequate, there is ample indication that alternative techniques should be used for complete identification of the sample.